In 1st grade, my hyperactivity was fully unleashed for the first time ever. It was the highly anticipated Halloween at Valley View Elementary where we trick or treated throughout the school. My best friend Tanker (biggest kid in the class/3rd overall in school) dressed up as Ray Nitschke and I dressed as a little Lombardi, coaching him through classes that day as I imagined the real Lombardi would. Tanker played the part well, snarling at math problems and doing pushups upon command until I was satisfied. At the end of the day, Mrs. Pfefferle granted us a five-minute candy free-for-all before we went home. While most kids were happily jamming Zagnuts and Tootsie Rolls down their gullets, Tanker and I were bonging giant Pixie Sticks in the back of the room. We finished right as the bell rang and that’s when the wild sugar energy took over. I started mad flexing like my favorite wrestler, the Ultimate Warrior and projecting numerous barbaric YAWPS at the world. For the entire bus ride home, I was a motormouth of overactive smack talk, which I would later dub “The Runs”. I somehow latched on to the Packers (go figure) and pretended the rest of the bus was the other team. When Tanker was dropped off, I decided to join him although my stop was 16 blocks away. We wrestled for a half hour and then I sprinted home and passed out in the hallway. As I got older, I realized that the perfect storm of sugar and highly anticipated events triggered The Runs. More often than not, it was a Packer game, which earned the special title of “The Sunday Runs”. Well, there is undoubtedly and lot of excitement in the air because I got the Sunday Runs on Wednesday. I was slugging my morning Monster and listening to sports talk radio and they were playing a clip of the Jared Allen spouting off. I sort of went borderline ballistic inside of my Tercel, screaming and taunting him with reckless abandon. I got so worked up that when I got home I passed out in the hallway (again). When I woke up, I realized that when the Sunday Runs start on Wednesday, it’s either gotta be Armageddon or Favre returning to Lambeau on the horizon to get me this worked up. 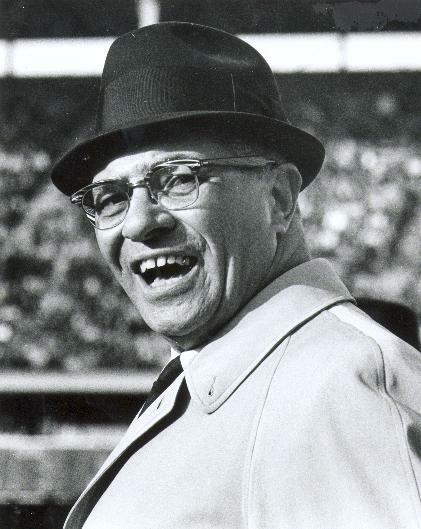 Franklin, I hope you’re ready to be Nitschke because little Lombardi is making a mad comeback Sunday. As long as I can be Nitschke from the Miller Lite commercial below, then I am ready. ahhh Bonging Giant Pixie Sticks. My Mom sent me to rehab for that in 3rd grade. I may do a couple lines before the game Sunday to get my head right. This is one of the top rants of all time! People at work are confused as to why I am laughing so heartily. Pixi stix = poor man's lick a stick, alternate with swigs of Jolt till you can feel your hair grow. I don't remember most of third grade. I heard the Ultimate Warrior died from snorting crushed up Runts during a Jolt case race.